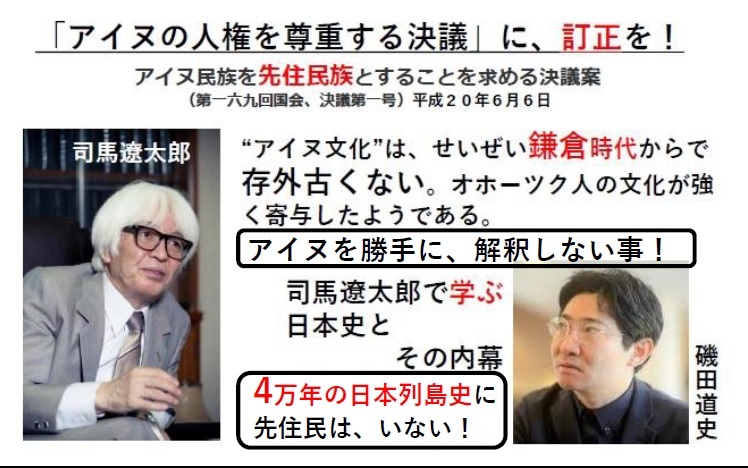 A Japanese aged private historian, Nara Akira, has already proposed MPOR(Migration along Pacific Ocean Rim, from Sundaland~Japanese archipelago~Beringia~ seashore of North, South American continents) Theory since 2016, after studying theoretical examining the route of the “Kelp highway” from Hokkaido , Chishima(Kuril) archipelago , seashore of Beringia to Alaska. The environment around the sea of Bering was much different at that era, because ice cold water of North Pole was stopped to flaw in Bering sea by Beringia. 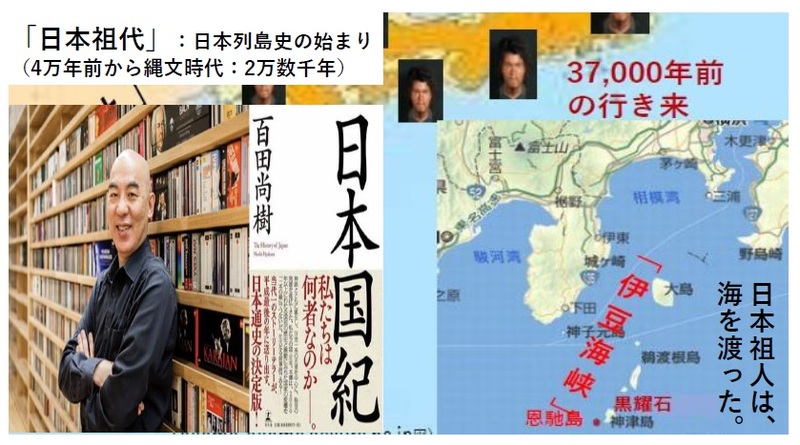 So It was directly connected with the warm sea of Hawaii. 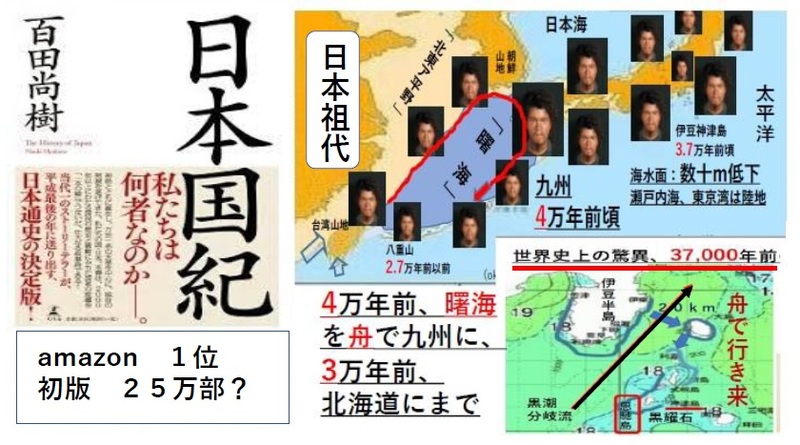 Chishima archipelago could be seen from Hokkaido to Kamcatka, one by one. 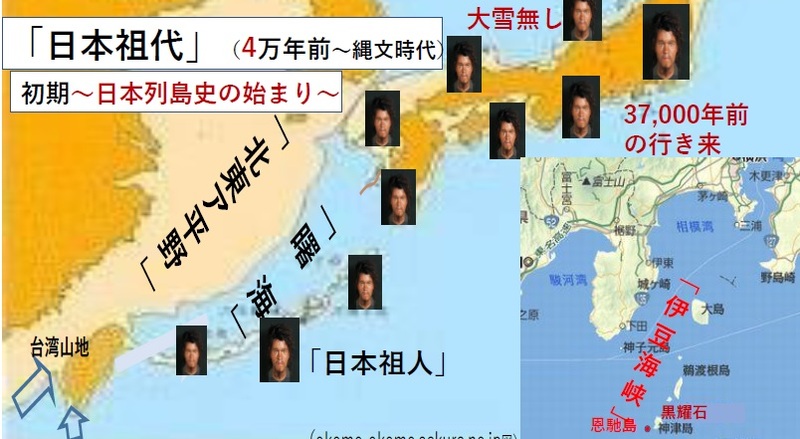 Original Japanese, Nihon Sojin, before Jomon had reached Hokkaido by 30,000 BP and got accustomed to the similar life style to that of Queen Charlotte islands. 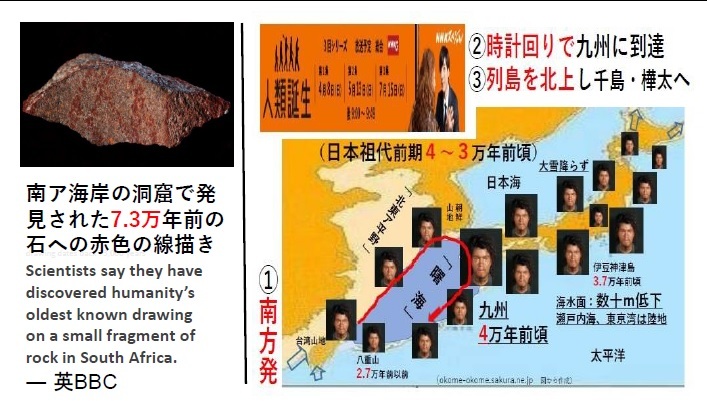 The history of Homo Sapience Sapience in Japanese Archipelago was originated in 40,000 BP, recognized by 10,000 Paleolithic sites in all over Japan. 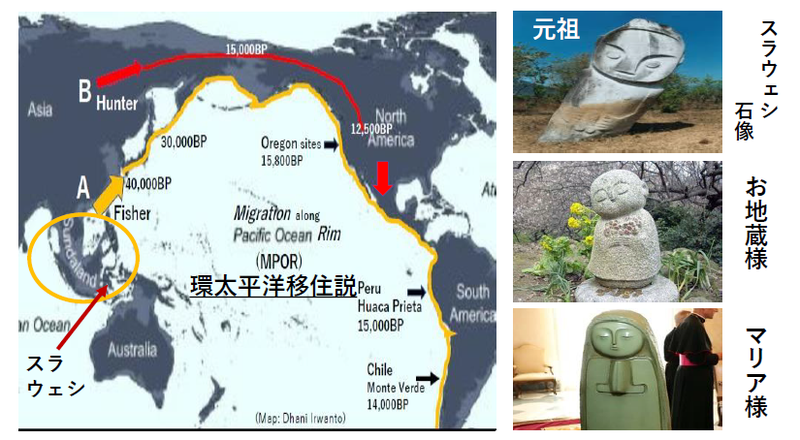 It was also proved that Nihon Sojin crossed sea to Izu islands for collecting obsidian back to main land from 37,000 BP. 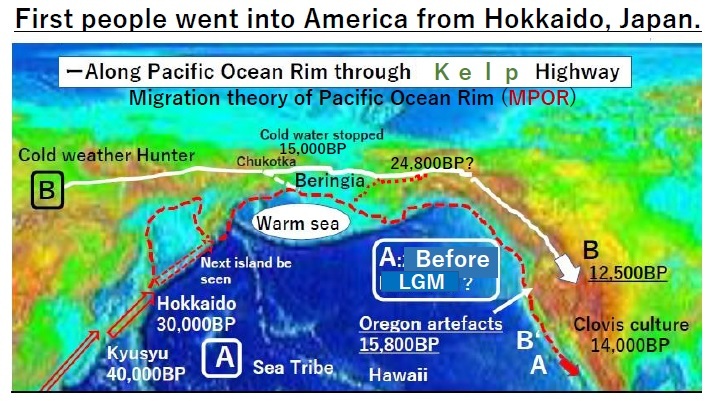 I think that they probably reached American continent through ”Kelp highway” before Last Glacial Maximum.